There are many ways to make money online even if you do not directly sell products or services. 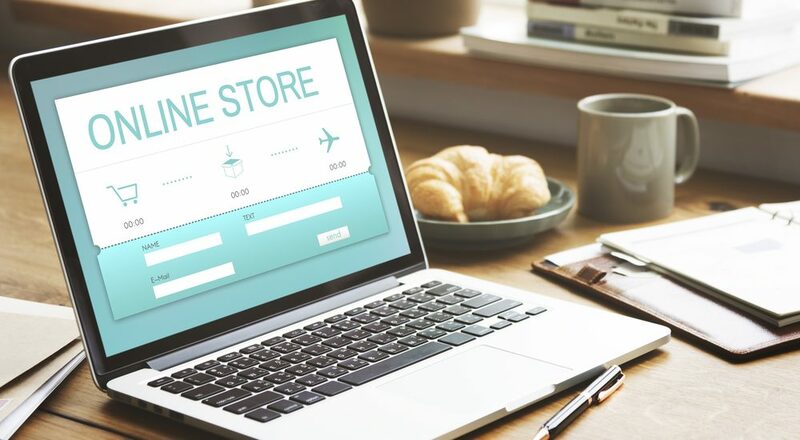 While e-commerce is the most substantial part of the online economy, there are plenty of e-commerce business ideas for people who want to work remotely or supplement income. You can start a drop shipping business very easily if you do not have any products. You merely partner with a wholesale provider to provide your products and a supplier who receives your orders and ships directly to customers. Research and choose a distributor for your e-commerce store. Alibaba, Wholesale Central, and Dropship Direct are the top free drop shipping wholesalers online. If your wholesaler does not have drop shipping services, you will need a supplier to distribute the products. It will be beneficial to have a primary distributor and supplier and a backup so that you are never without product availability. Do your research and find the top grossing products. It is a wise choice to check to make sure the products are available before advertising them. Do not assume that just because your wholesaler has it listed that it will be available. Stock issues are always an issue in the drop shipping industry. Get an EIN from the IRS to conduct business (US residents). You may also need a business license depending on your local business ordinances. Choose your platform for selling your products. eBay, Amazon, or your website store are preferred ways to succeed in drop shipping. Manage inventory, shipping, and supplier lists. The back office tasks are areas that can be extremely trying of patience if you lack organizational skills. Inventory needs, wholesaler product choices, supplier lists, and shipping are full-time jobs. However, it can also be lucrative if you master these competency skills. An affiliate marketer is a person or website that sells other people’s products for a commission. If you have used the information above to start a free site like WordPress, you can use your blog or webpage as an advertising referral program that pays up to the top ten percent of the product cost. As noted above, people pay for advertising as part of their marketing campaign strategies. If you are an avid product reviewer and persuasive writer, you have all the things you need to start your own online business because you can drive the traffic while e-commerce business owners could not. Blogging: While you might not realize it, online traffic is an excellent source of revenue. While you may make some income with traffic under 10,000, you can monotonize your sight with anything over 50,000 clicks. Some companies have built up their site and sold them for tens of thousands and even millions of dollars. Google AdSense is one of the biggest revenue generators online. You choose the ads you want, decide where you want them on your page, and the advertisers will bid for it. You can also use Google’s Adwords Keyword Planner to strategize marketing campaigns, keywords, competitive bidding and budget information. Keyword competition is big business online. A clickthrough rate (CTR) helps website owners and advertisers see how often users are clicking on ads. If you, the website owner, aim for 1% of your traffic, you can make a decent amount of money if you manage to get people to click on your ads. While many e-commerce companies ignore the ads, others are capitalizing on their ability to market and advertise using SEO optimization strategies. The most popular niches are finance, health, IT, online marketing, and technology. Gossip, entertainment, and recipe sites are lower paying advertising. App developers are in high demand online. Most online traffic comes from mobile users. It makes sense that newer app developers aimed at iOS and Android users. The most massive revenue generating outlets online, which will not be a surprise, are Google and Apple. Google compensated 150,000 app developers more than $900 billion, and Apple spent an estimated $5 billion for more than 1.25 million apps. Step six: Enter your business profile information. Social media consultants are in high demand because many people need help to effectively brand their online identity and get the traffic to your site which is not an easy task. If it were easy, no one would need social media consultants in the first place. Rates can vary drastically. If you are a newbie to online content, you will want to choose a price that equals your experience. More than six years of experience: $80.00 to $100 an hour. You can also gauge work with a client to negotiate a fee based on ability. Remember that milestones or projects can also be lucrative to freelancers. Web content writers, researchers, and proofreaders are always needed online. It is also a great way to work remotely. There are many people online who need content to build traffic but lack the skills necessary to write SEO-friendly articles. There are also many niche companies who pay writers for web content, product descriptions, or industry-specific knowledge. The pay scale can vary in this field, too. More importantly, it can be time-consuming. You will want to build a clientele of repeat customers so that you have reliable and steady sources of income. Online customer service is readily becoming an excellent revenue generating industry for remote workers because of the number of e-commerce stores that lack sufficient personnel. Hiring a person online to pick up overflow phone calls, chat, and emails can help in expanding your business. If you have a large company, you may decide to outsource all of your back office tasks. If you are a small company, using a freelance group will provide you with customer service representatives who are highly skilled and bi-lingual. As many of the sites cater to international databases, you can obtain the help you need for a relatively affordable price. Online retail is an industry that continuously changes. That sentiment is even more so for people who are trying to maximize the services and features of free online platforms and services. Regardless of a complimentary or a purchased site, profit can remain low if you have not mastered the techniques necessary to compete in strategic marketing campaigns. If you have learned the skills required to start an e-commerce store, then you have what it takes to sell online as well. As you grow your business, you will learn tips and tricks that help you improve. Success will not be found overnight. You want to see a pattern of growth, but it requires you to work hard and maximize the techniques that other leading companies have mastered.